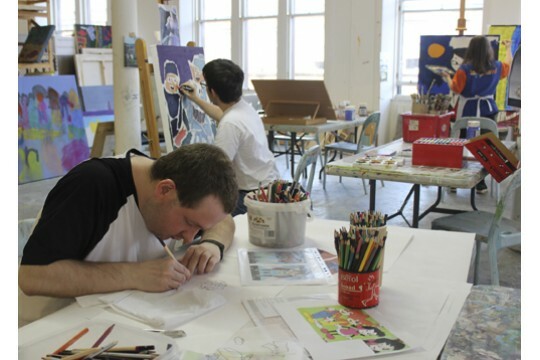 Become a supporter of Project Ability for only £5 per month and help us to transform the lives of people with disabilities of all ages through visual art. Why support us? By becoming a supporter you will be helping us to continue our vital work. Demand for our service has never been higher but the challenges of funding mean that we have long waiting lists of people who need our help. Your support means that we can help more people become healthier and happier. How will my £5 per month help? Our incredible supporters help us to supply people with professional artist materials, keep the workshops running and the lights on. Ours is a person centred approach, participants benefit artistically, socially and emotionally from accessing a high quality programme of creative activity where they learn, progress and celebrate their achievements. What we give you in return In addition to the satisfaction of helping many people through your monthly donation, you will also receive: invitations to our exhibition private views, a regular enewsletter and an invitation to our annual Supporters evening We look forward to welcoming you to Project Ability's team of Supporters. Together, we can fight to end the stigma of mental ill health and advocate the wider inclusion of people with disabilities in our community.